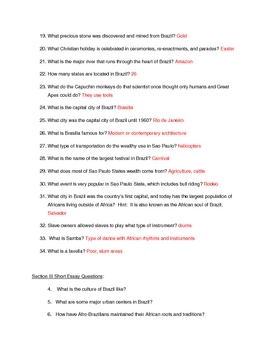 This is quiz with an answer key that can be used with the Discovery Atlas series "Brazil Revealed". You can download the video from unitedstreaming.com. 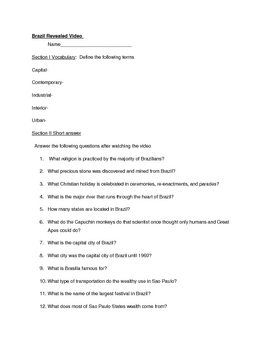 The Discovery Atlas video series are shot in high definition and are not your typical videos you find for social studies topics. The kids seem to really enjoy watching them.